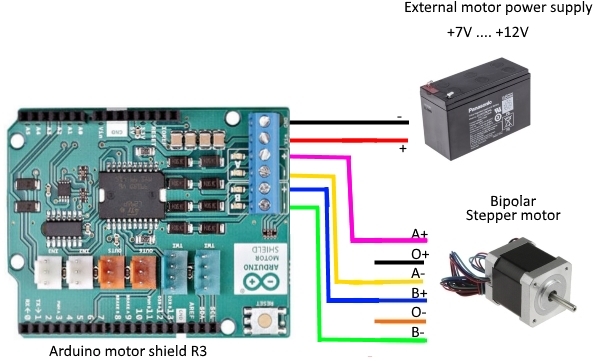 We will learn how to connect Arduino motor shield R3 to Arduino board and use it with unipolar or bipolar stepper motor 5V/6V. We will use stepper motor Nema 17 DC 6V. 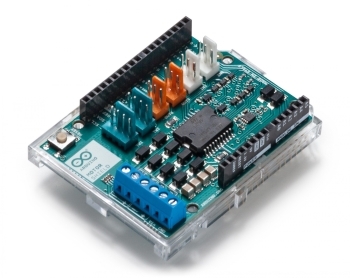 The Arduino Motor Shield allows your Arduino board to drive DC and stepper motors, relays and solenoids. 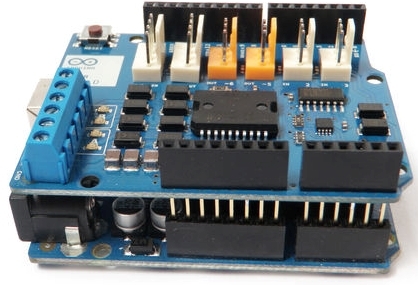 The Arduino Motor Shield is based on the L298, which is a dual full-bridge driver designed to drive inductive loads such as relays, solenoids, DC and stepping motors. It lets you drive two DC motors with your Arduino board, controlling the speed and direction of each one independently. You can also measure the motor current absorption of each motor, among other features. The shield is TinkerKit compatible (6 headers for the attachment of Tinkerkit inputs, outputs, and communication lines), which means you can quickly create projects by plugging TinkerKit modules to the board. 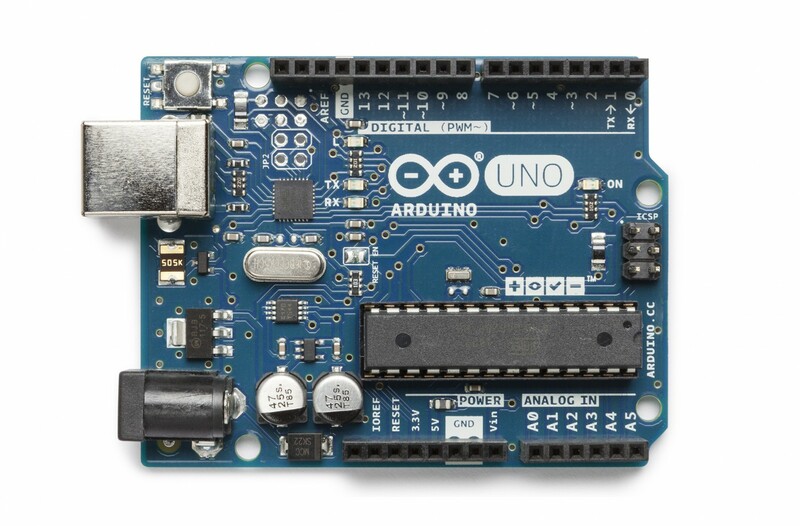 By allowing you to simply address Arduino pins, the Arduino Motor Shield makes it very simple to incorporate a motor into your project. It also allows you to be able to power a motor with a separate power supply of up to 12v. The Motor Shield must be powered only by an external power supply. Because the L298 IC mounted on the shield has two separate power connections, one for the logic and one for the motor supply driver. The required motor current often exceeds the maximum USB current rating. External (non-USB) power can come either from an AC-to-DC adapter (wall-wart) or battery. 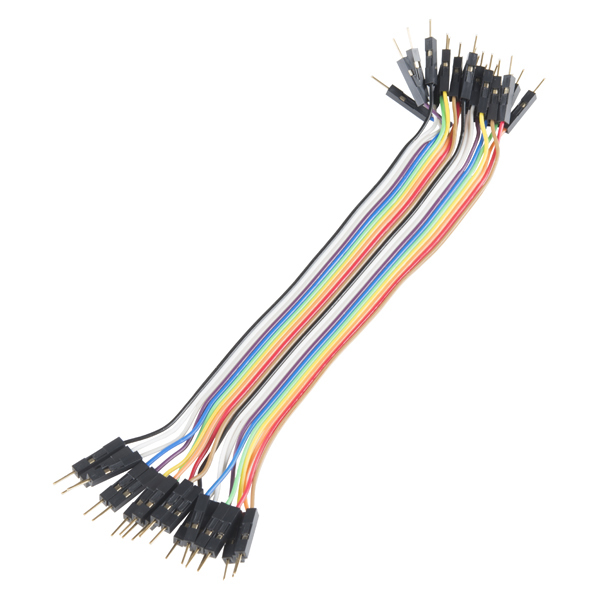 The adapter can be connected by plugging a 2.1mm center-positive plug into the Arduino's board power jack on which the motor shield is mounted or by connecting the wires that lead the power supply to the Vin and GND screw terminals, taking care to respect the polarities. To avoid possible damage to the Arduino board on which the shield is mounted, we recommend using an external power supply that provides a voltage between 7 and 12V. If your motor require more than 9V we recommend that you separate the power lines of the shield and the Arduino board on which the shield is mounted. This is possible by cutting the "Vin Connect" jumper placed on the back side of the shield. The absolute limit for the Vin at the screw terminals is 18V. the motor. In total there are 8 pins in use on this shield. If you don't need the Brake and the Current Sensing and you also need more pins for your application you can disable this features by cutting the respective jumpers on the back side of the shield. You can drive two DC motors by connecting the two wires of each one in the (+) and (-) screw terminals for each channel A and B. In this way you can control its direction by setting HIGH or LOW the Direction (DIR A and DIR B) pins, you can control the speed by varying the PWM A and PWM B duty cycle values. The Brake A and Brake B pins, if set HIGH, will effectively brake the DC motors rather than let them slow down by cutting the power. You can measure the current going through the DC motor by reading the Current Sensing (SNS0 and SNS1) pins. On each channel will be a voltage proportional to the measured current, which can be read as a normal analog input, through the function analogRead() on the analog input A0 and A1. For your convenience it is calibrated to be 3.3V when the channel is delivering its maximum possible current, that is 2A. 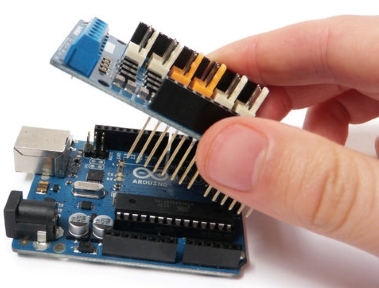 The pins of the official Arduino motor shield will only align with Arduino Uno Rev. 3. In order to make it work with older versions of the Arduino, you will need to trim a few pins off the motor shield. However, this is not, at all, recommended. Insert the motor shield pins into the socket of the Arduino Uno. 1. 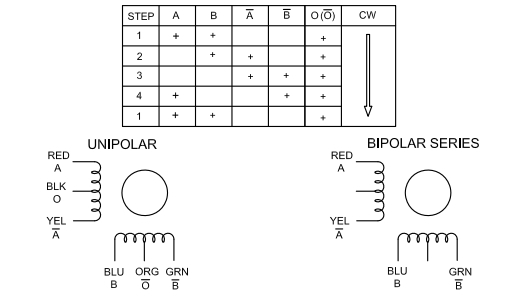 Bipolar stepper motors typically have 4 pins, which correspond to two coils. 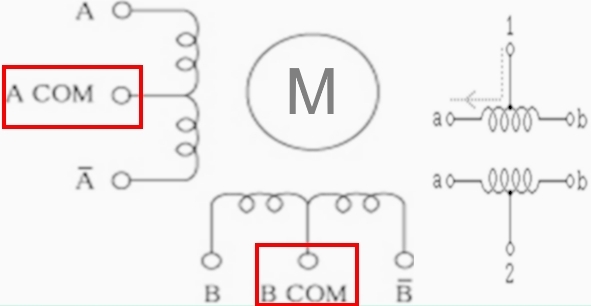 To use a stepper motor, you need to power these two coils in phase with alternating polarity. To figure out which two pins make up a single coil, insert an LED into any two pins on its socket and rotate the motor shaft. If the LED lights up, you found one coil. The other two pins should make up the other coil. 2. 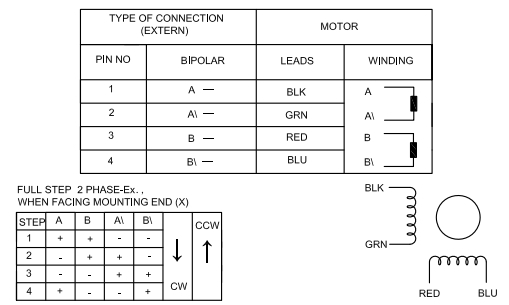 Unipolar stepper motors are generally of 6 wires, each coil phase has a center tap. If both of center tap (common) wires are connected together it becomes a 5 wire unipolar. To convert unipolar stepper motor to bipolar stepper motor (4 wires) just leave the center taps (2 wires) not connected. To figure out which two pins make up a single coil, insert an LED into any two pins on its socket and rotate the motor shaft. If the LED lights up, you found one coil. The other two pins should make up the other coil. Place Arduino motor shield R3 on top of the Arduino Uno board. We have learnt how to connect Arduino motor shield R3 to Arduino board and use it with with unipolar or bipolar stepper motor 5V/6V.